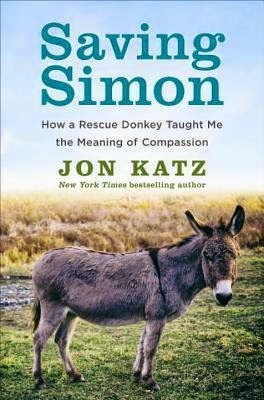 From Goodreads ~ In this heartfelt, thoughtful and inspiring memoir, New York Times bestselling author Jon Katz tells the story of his beloved rescue donkey, Simon, and the wondrous ways that animals make us wiser and kinder people. In the spring of 2011, Jon Katz received a phone call that would challenge every idea he ever had about mercy and compassion. An animal control officer had found a neglected donkey on a farm in upstate New York and she hoped that Jon and his wife, Maria, would be willing to adopt him. Jon wasn’t planning to add another animal to his home on Bedlam Farm, certainly not a very sick donkey. But the moment he saw the wrenching sight of Simon, he felt a powerful connection. Simon touched something very deep inside of him. Jon and Maria decided to take him in. Simon’s recovery was far from easy. Weak and malnourished, he needed near constant care but Jon was determined to help him heal. As Simon’s health improved, Jon would feed him by hand, read to him, take him on walks, even confide in him like an old and trusted friend. 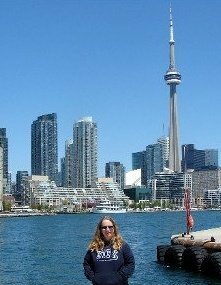 Then, miraculously, as if in reciprocation, Simon began to reveal to Jon the true meaning of compassion, the ways in which it can transform our lives and inspire us to take great risks. Jon Katz is an author living on a farm with his wife, Paula. He gets a call that a donkey is being rescued from deplorable conditions and they aren't sure he's going to make it. Since Jon already has two donkeys, they were wondering if he would take him. Jon can't resist and names the donkey Simon and they develop an incredible bond. This is their story. He also tells of adopting an adult rescue dog named Red and a elderly blind pony named Rocky and how they fit into each other's lives. I love reading stories about animals. This is the fourth book I've read by this author and I liked it. I like the writing style and thought it flowed well. It was interesting to read how he bonded with these and animals get his perspective on having animals in our lives and how they can help us (and vice versa). It's new ... it just came out a couple weeks ago.